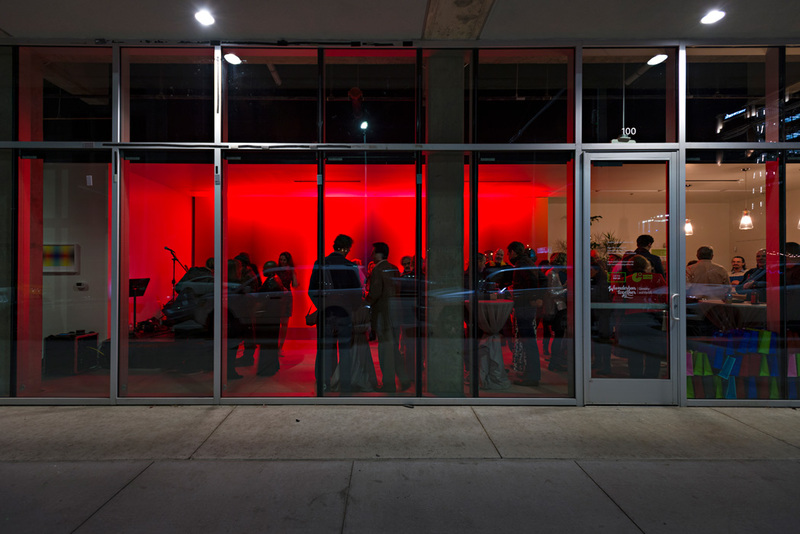 Goethe Pop Up Kansas City, a new cultural event space in the Crossroads Arts District, is bringing American and international communities, partners, and artists together as part of the Year of German American-Friendship 2018/19. This year-long initiative implemented by Germany’s cultural institute, the Goethe-Institut, bears the motto – Wunderbar Together. Blending words from these two languages represents the message at the heart of this campaign: that Germany and America are stronger as friends and partners. 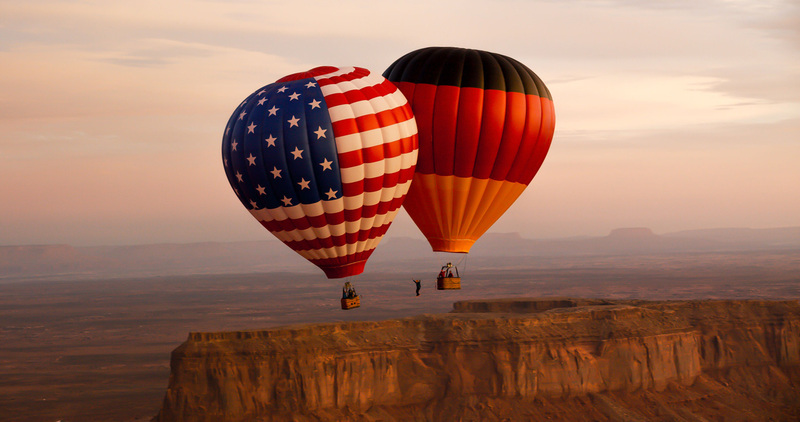 To help bring the over 1,000 events planned during the campaign to Americans in all 50 states, four temporary Goethe-locations have “popped up” during the Year of German-American Friendship in Seattle, Houston, Minneapolis, and Kansas City, in addition to the permanent Goethe-Instituts in the US. With the Goethe Pop Up Kansas City’s location at 1914 Main Street in the heart of the Crossroads, we seek to create a platform for cultural exchange in an area already filled with energy and creativity. Through art exhibitions, dance, theatre, and music performances, film screenings, and more, we want our space to facilitate this exchange of shared values and ideas throughout the next year. 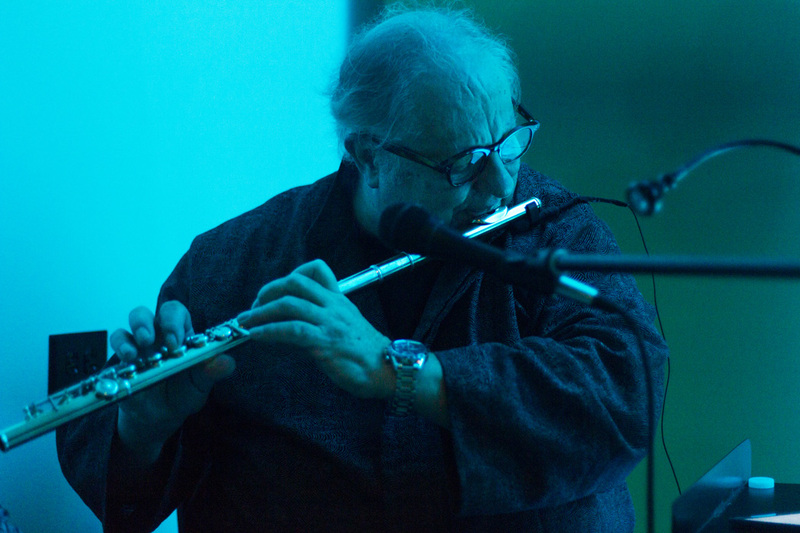 Highlighting these efforts to bring together artists and performers of all different cultural backgrounds are several events that have already taken place at the Pop Up. In November, we hosted visiting Austrian Filmmaker Christian Tod for a screening of his film Free Lunch Society, a documentary about the concept of an unconditional basic income. German television chef Vincent Klink was with us for two nights in December, where he read from his books and played jazz flute both here at our space and across the street at local German restaurant Affäre. 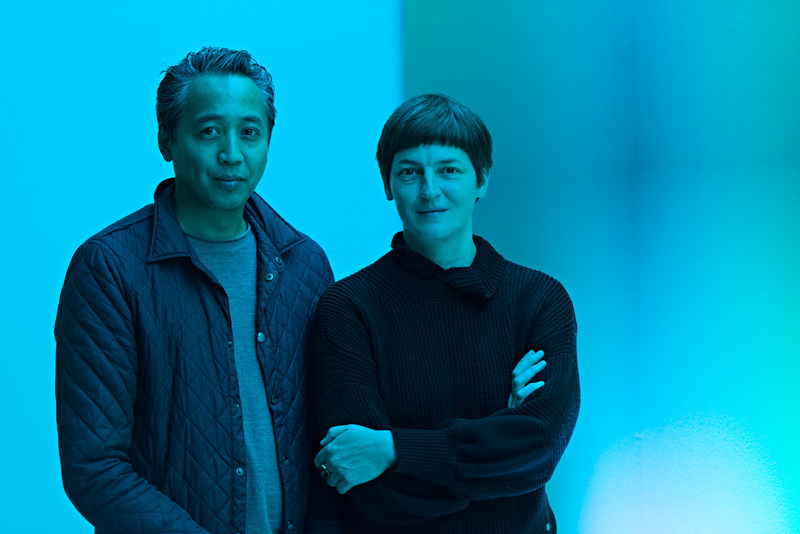 To help us kick-off our Grand Opening at the beginning of December, we invited the German-American artistic collaboration of Petra Bachmaier and Sean Gallero (Luftwerk) to utilize our space for their installation HAZE | Trübe, a piece experimenting with light conditions and inspired by Johann Wolfgang von Goethe’s Theory of Colors. Motivated by this, we then welcomed local painter and adjunct German professor Tanya Kelley to our space for a presentation on Goethe’s Theory of Colors and its use in art. 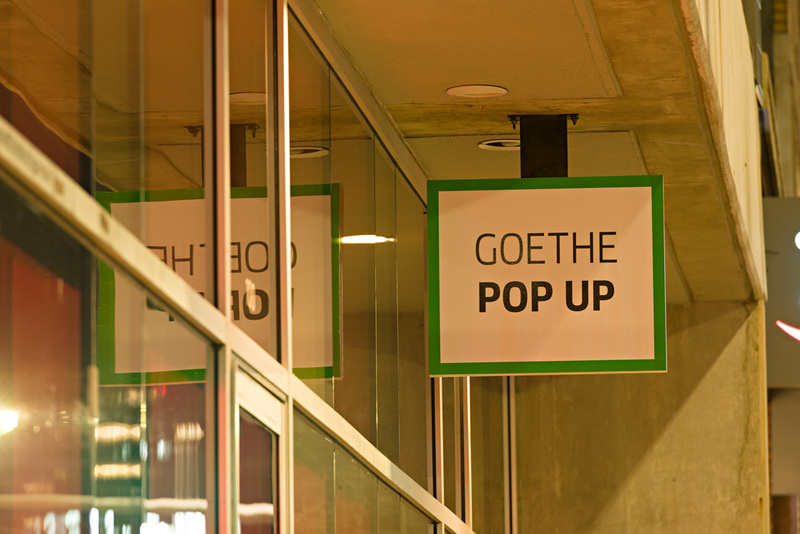 The Goethe Pop Up will also be hosting regular weekly events throughout the next year. These include our Pop Up Film Haus events, a film series featuring German films shown with English subtitles and opportunities for discussion held afterward. Through language offers, we want to support people who are interested in using or practicing their German language knowledge. Our German Conversation Group held at the Pop Up offers a platform for German speakers of all proficiency levels to practice their German speaking skills. And for the little ones, we’re hosting a German Kindergarten at Kansas City Young Audiences’ Creativity Lab. With the Kindergarten, we want to provide children who speak or are learning German an opportunity to learn and play in a German language environment with games, reading materials, and activities put together and led by a native German speaker. With so much planned at the Goethe Pop Up from now until November 2019, we hope to provide plenty of opportunities for people in Kansas City to come and share their own experiences with German culture, as well as discover new perspectives through cultural exchange. In addition to events, performances, exhibitions, and gatherings at our cultural event space, we encourage everyone to come visit the Pop Up to meet us and learn more about the Year of German American-Friendship. Visit the space at 1914 Main Street, Kansas City, MO 64108. Tuesday through Saturday, 12pm-6pm and First Fridays, 6pm-9pm.